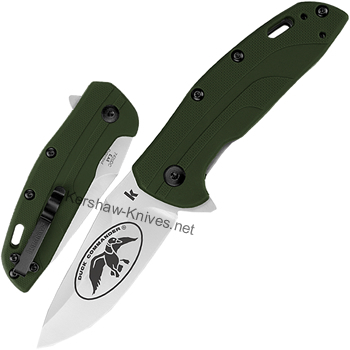 Kershaw has teamed up with the Robertson Family to make an official Duck Commander knife. The Dunbar 7420DCX has an olive drab handle that is glass filled nylon. The bead blasted blade is a fine edge that is 3 inches long. 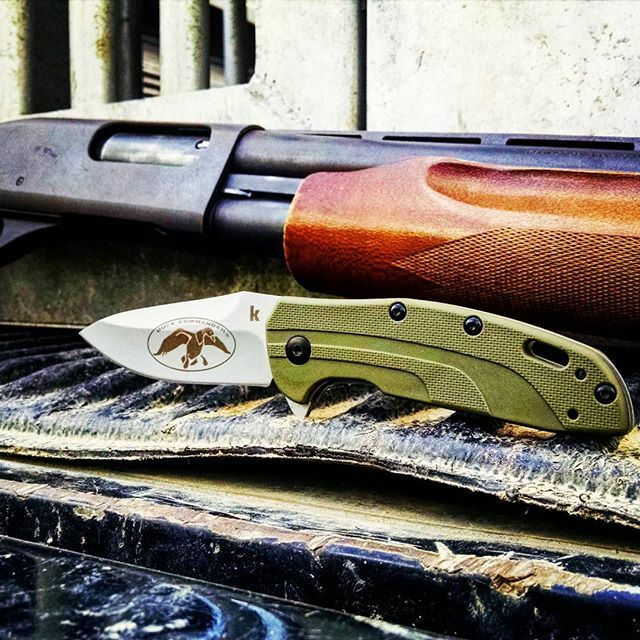 The official Duck Commander logo is engraved on the front of the blade and each clam package will have a picture of one of the family members and the family picture on the back. The pocket clip is reversible for a deep carry on either the left or the right. A lanyard hole is on the end of the handle.